Get Your Landscaping Ready This Holiday Season. The holiday season is a wonderful time of year to share with your friends and family. Why worry about decorating the exterior of your home or business when you can have the professionals add some beautiful red and white annuals or poinsettias to your landscaping. The Holiday Season is rapidly approaching us and your time is valuable. Let us relieve your holiday stress. Give us a call to schedule your free estimate. We would love to provide you with excellent monthly service and satisfy your landscaping needs. Call us now to schedule your landscaping estimate to install holiday landscaping for your upcoming family gathering or party event. 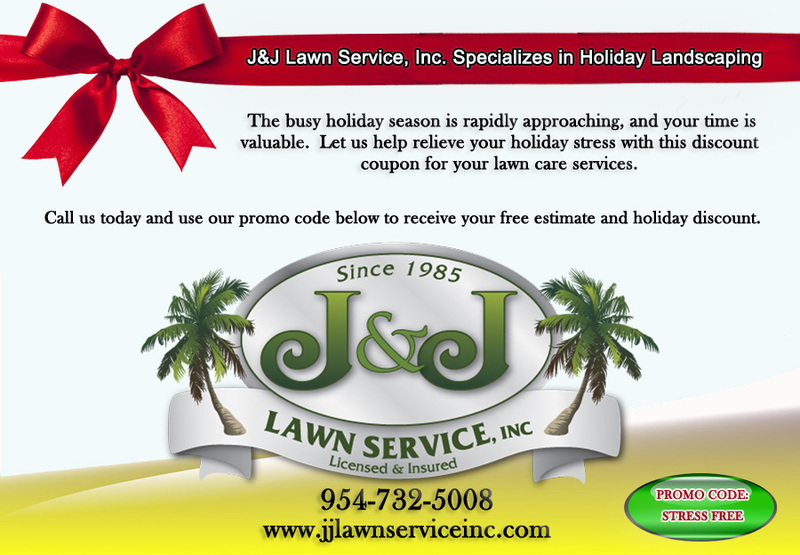 Christmas Decor Landscaping in Coral Springs By J&J Lawn Service, Inc.
« Is the grass greener?